The husband-and-wife duo—both Lafayette-based nurses—pitched their invention at a Feb. 6 open casting call in Dallas. Within the next six to eight weeks, Wayne Nix says, they will find out if they make it to the next level. Wayne and Dawn Nix had one minute to pitch the MultiNix tool in front of a member of the Shark Tank casting team. Then the pair fielded questions for three to five minutes. The MultiNix invention is marketed as a multi-purpose utility tool for nurses, with at least 15 different features, including everything from scissors and wrenches to pupil gauges. The tool is meant to save time for nurses who require multiple daily tools to do their jobs. The main concern about the MultiNix tool is that it may be better suited for business-to-business sales, rather than business-to-consumer, Nix says. “Shark Tank” investors typically look for ideas geared toward consumer sales. Nix, however, says he believes his product can appeal to both businesses and consumers. 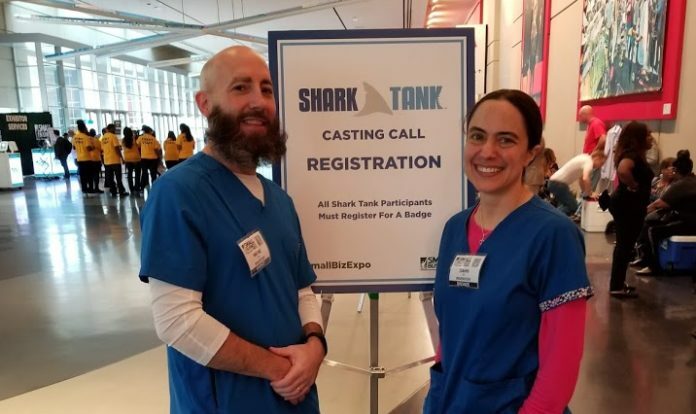 Meanwhile, as Nix waits to hear back from “Shark Tank,” he says he’s also working on landing a licensing deal with a major medical company, though he cannot say which one yet. For his MultiNix invention to move forward, Nix says he needs one of these ventures to work out—whether it be the “Shark Tank” appearance or the licensing deal—so he can secure a production and distribution channel. Otherwise, he may have to call it quits on the MultiNix tool.